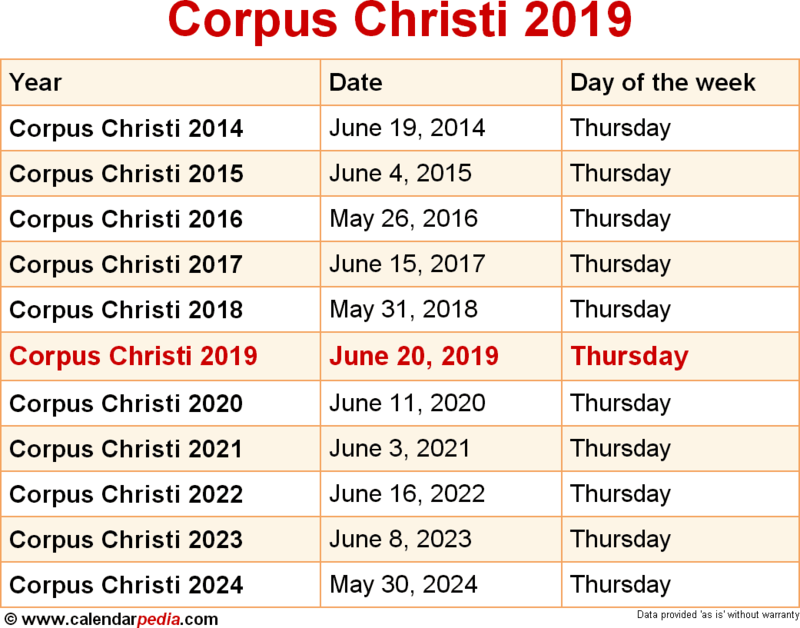 Corpus Christi is a Christian feast celebrated every year on the Thursday after Trinity Sunday in commemoration of the Last Supper of Jesus Christ and his twelve apostles before his crucifixion on Holy Thursday (Maundy Thursday). Due to the somber atmosphere of Holy Week, Holy Thursday, leading to Good Friday, does not allow for a splendid unfolding of festivities. Corpus Christ is Latin for "Body of Christ" and is celebrated particularly by those of Catholic faith, while most protestant denominations don't recognize the feast. It is a moveable celebration that depends on the date of Easter and can occur as early as May 21 or as late as June 24. Corpus Christi is a public holiday in many countries (or parts of countries) with predominantly catholic populations. 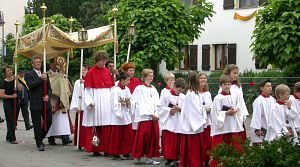 In countries where Corpus Christi is not a public holiday the feast is often celebrated on the following Sunday. The next occurrence of Corpus Christi is marked in red.